A mind-expanding six-session audio course on rewriting the rules of your reality. Can the laws of physics be broken? Are there angels and guides watching over you? Does this supposedly rational universe have room for magic? “Absolutely,” teaches Richard Bartlett, “And that only scratches the surface of what's possible.” Over the years of teaching the technology of consciousness he calls Matrix Energetics, Bartlett and his partner Melissa Joy have seen inexplicable healings, radical transformation, and phenomena so absurd that they can only be called miraculous. With Into the Matrix, they offer a convention-shattering course for inviting guidance and grace into your life by accessing what they call the field of the heart. The field of the heart is our connection point to consciousness beyond bounds of normal time and space—yet we are usually unaware of it because we remain trapped in our conditioned, thinking mind. So how do you get out of your head? Fortunately, teaches Bartlett, the universe is always ready and willing to provide you with guidance. “Your guides can come to you as enlightened masters, archangels, superheroes, pink dolphins—anything!” Bartlett says. 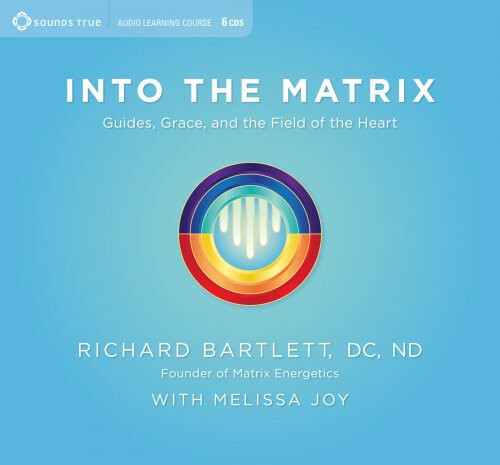 Drawing on the experience of their popular Matrix Energetics workshops, Bartlett and Joy help you get in touch with the guides that can lead you into a new frame of reference for your reality—a playful, heart-centered state of grace where literally anything is possible. The true miracle of Matrix Energetics occurs when we awaken to who we really are. As Richard Bartlett says, “You are more than your thoughts, your body, or your feelings. You are a swirling vortex of limitless potential who is here to shake things up and create something new that the universe has never seen.” With unorthodox guidance and subversive wisdom, Richard Bartlett and Melissa Joy invite you to let go of your preconceptions, drop down into the field of the heart, and boldly go where you've never gone before—Into the Matrix.